Anderson Silva and Israel Adesanya (16-0 MMA, 5-0 UFC) took part in a very entertaining and interesting fight on Saturday night. After three excellent rounds, “The Last Stylebender” defeated “Spider” via unanimous decision. But Paulo Costa is not impressed with Israel’s Octagon skills. He took to his Twitter and trashed “scrawny clown” Adesanya, claiming the Nigerian-born New Zealander wouldn’t last two rounds against him! Since his UFC arrival, the former Jungle Fight Middleweight champion Paulo Costa (12-0 MMA, 4-0 UFC) TKOd Garreth McLellan, Oluwale Bamgbose, Johny Hendricks, and Uriah Hall. “Borrachinha” ended all his rivals in the first or second round. After his UFC 226 win over dangerous Uriah “Prime Time” Hall, Paulo Costa dismissed potential Israel Adesanya fight and challenged Chris Weidman for UFC 230 clash instead. Only ten days later, Costa changed his mind, and stated he was “open to Adesanya bout if people want it”. The two went a bit back and forth on social media since then. At the moment, Israel Adesanya is lined up for a bigger challenge – a UFC Middleweight title shot versus Robert “The Reaper” Whittaker or Kelvin Gastelum. On the other hand, Paulo Costa is set to meet the all-time best Cuban mixed martial artist Yoel Romero at UFC On ESPN 3. The event is slated for April 27, 2019, in Miami, Florida. 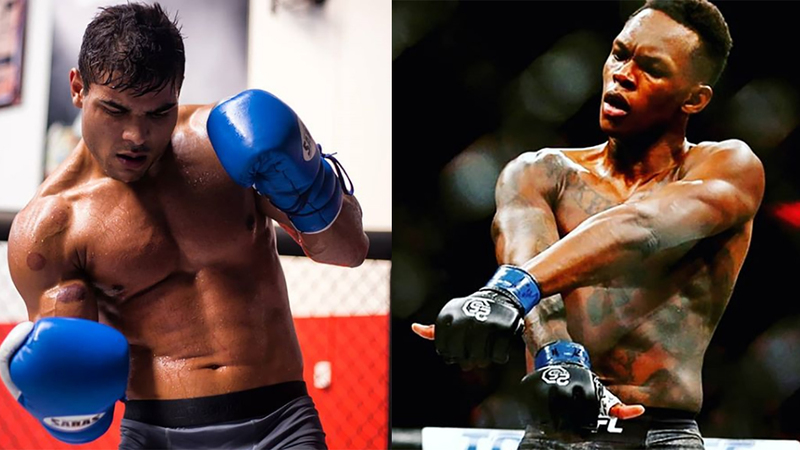 Israel Adesanya Vs Paulo Costa would be the great match as both fighters are amazing strikers and undefeated prospects. Do you think “The Last Stylebender” wouldn’t last two rounds against the fearsome Brazilian striker?